Here is the latest from Gemstoneuniverse kitty for its patrons – SWARBHANU 2012, the latest parcel of fine treatment free, natural Srilankan Hessonite. 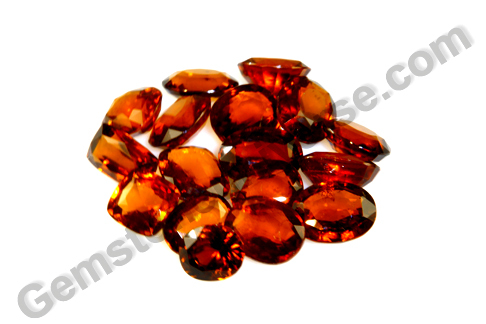 The finest Hessonite garnet comes from the gravely soils of the Matura district. The hessonite is a fine richly hued orange-brown gem of the grossular garnet family that is used in planetary gemology to harness the energies of planet Rahu. The new lot SWARBHANU 2012 is anything but rich – each gem exhibits the famously known ‘scotch and water’ effect and is precisely the color of tobacco or cinnamon…hardly the appropriate references, but they do hit the nail on the head so! Hessonite is the garnet exclusively known to exhibit a roiled look, as is swirls of heat wave are forming within it. 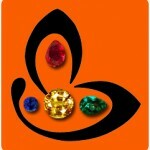 It is a rather intense as well as a luscious gem and makes tasteful jewellery. Hessonite is a gem that comes in a wide range of colors – from yellowish brown, orange brown, cinnamon to deep ‘almost’ reds! But the fire in the belly of hessonite is palpable. – Have a lovely cinnamon color with scotch and water effect. You can definitely look forward to the best results from planetary gem therapy with these fine offerings from Gemstoneuniverse. Rahu is the North Node of the Moon – the Dragon’s Node, the head of the serpent. Hessonite or gomed/ gomedh/ gomedaka is the gemstone of Rahu that is used to tap into its power and also brings tremendous relief in its planetary period or when there are certain challenging positions in the natal chart.